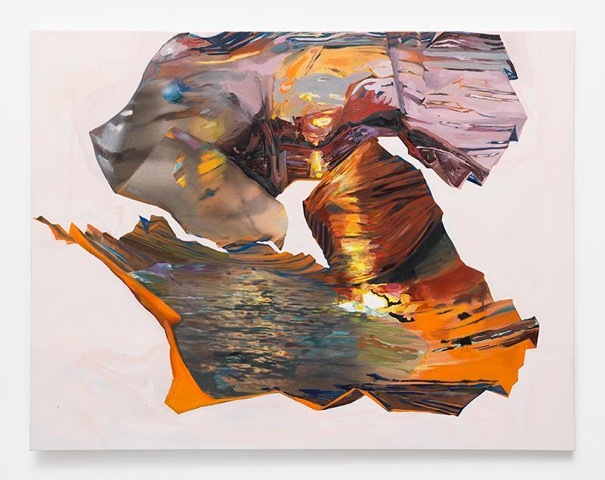 FSU Art BFA ’09 Rachel Rossin’s exhibition “Lossy” that ran from October 15-Novemeber 14th, 2015 at Zither Smith & Horton is reviewed by Dawn Chan in the January ’16 Artforum. This exhibition was also reviewed by Martha Schwendener in the 11-5-15 edition of the New York Times. 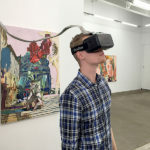 To create this work, Ms. Rossin scanned bits of her paintings and images photographed in her studio and apartment and created a two-and-a-half minute video that you experience by donning a Rift headset. 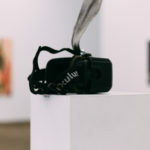 Unlike the seamless environment you generally see in video games, Ms. Rossin’s includes lots of white space; objects and fragmented forms float within it, occasionally disintegrating — hence the “lossy” in the exhibition’s title, a word that suggests entropy in the coding of digital images or sound) on what feels like near impact with your eye. 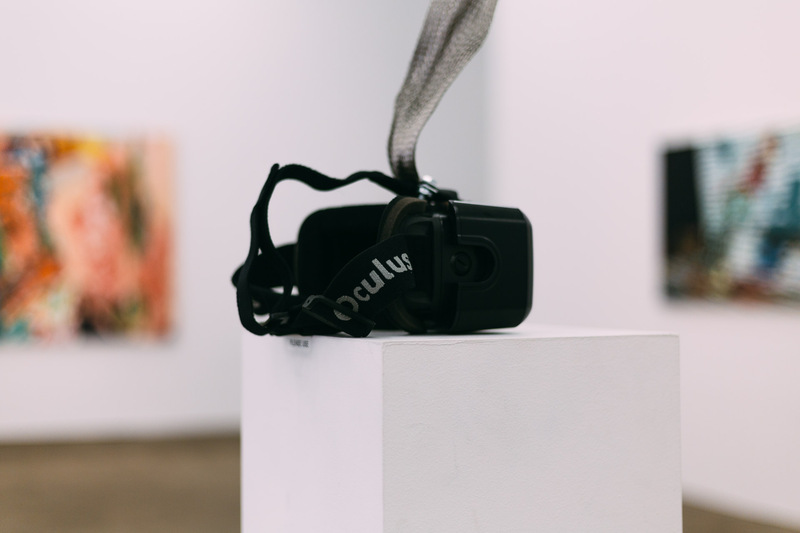 Where virtual reality has been criticized for leaving you disoriented or queasy, isolating the eye in this manner simulates the fantasy of living inside a painting or having painterly images converge with your retina. The effect is destabilizing and exhilarating. 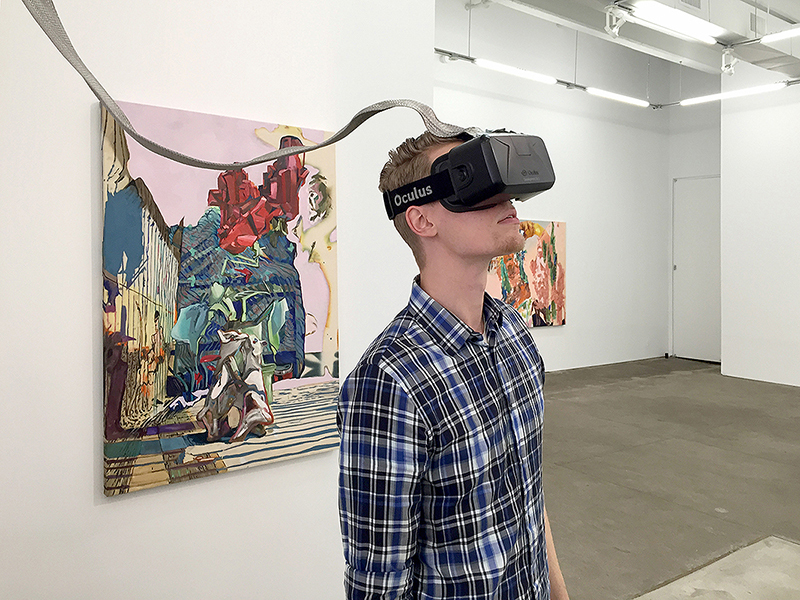 Neither Ms. Rossin’s paintings nor the virtual reality piece, however, feel like fully realized masterpieces. 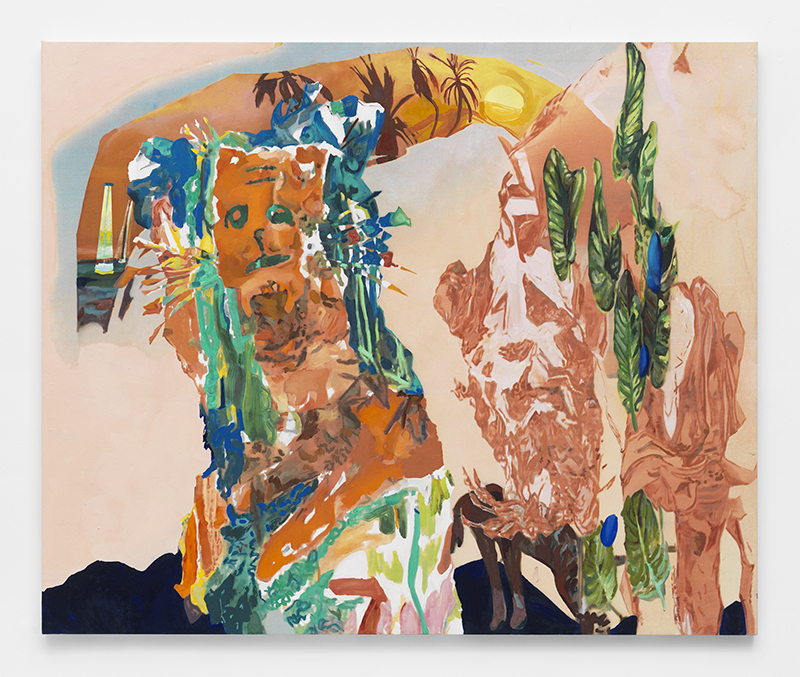 “Digital painting” has always seemed like an oxymoron: The tactility of painting, and its static depiction or recording of movement, are part of the medium’s appeal. 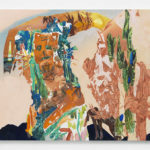 But Ms. Rossin has achieved something, forging a connection between abstract painting and augmented perception that opens up a fourth dimension that existed only in theory for earlier painters.